Tailor Your Marketing to This Year-Round Retail Calendar | Advertising Systems, Inc.
By Jay Bemis | Advertising Systems Inc.
Small business marketers are keen to local events and trends that can help shape ad campaigns for their customers in various retail sectors. 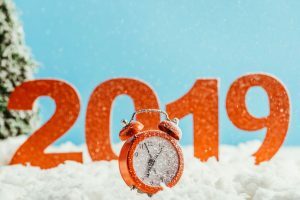 But it’s also important that marketers know what national events and trends might influence their customers’ marketing strategies throughout the year. Right now, for example, November already is enjoying its status as a banner month for discounts across the U.S., with early holiday shoppers uncovering deals on items that range from home goods to electronics. That includes televisions, which will beam lower price tags all the way through the first weekend of February, when the Super Bowl unfolds. Crowds particularly jostle for big TVs and other early Christmas bargains on Black Friday, but late November nowadays offers even more retail joy during the days after Thanksgiving. The Saturday after Thanksgiving, for instance, often is the busiest day for local shops that sell clothing and accessories. But don’t forget that same day, Nov. 24 this year, is Small Business Saturday – a day on which shoppers are urged to celebrate and support small businesses across the country. November closes with Cyber Monday, which has become the biggest single day for online sales, for businesses both large and small, for more than a decade. Couldn’t find those items you were seeking at the department store on Black Friday? Join the gathering crowds at specialty retail stores, including sporting goods, on the Saturday that falls two weeks after Thanksgiving (Dec. 8 this year). It is typically the highest single sales day for those shoppers who couldn’t find what they wanted at the big-box stores. Still influenced heavily by holiday shoppers, the rest of December dishes out deals on such desired and smaller-sized gift items as headphones, wireless speakers, fitness trackers, smartwatches and cordless drills, plus tablets and other electronics. After a month or more of holiday meals and sweet treats, many amongst the masses start trudging toward the gym come the first month of the year. And retailers take notice, offering deals on such items as treadmills, ellipticals and bathroom scales. January also is traditionally the month for white sales, particularly sheet sets. And TVs grab another month’s attention from shoppers and price-slashing retailers, thanks to that certain huge football championship game that rolls around the first Sunday of each February. Once the Super Bowl concludes, the first half of February transitions into the busiest month for florists as their customers get in their orders for that special someone. Then there’s Presidents Day, which is a good time to update that old lumpy mattress that has been the source of that back pain you’ve been suffering all winter. Besides mattress and other furniture discounts, shoppers can discover sales on humidifiers and interior paint. Speaking of sprucing up the home a bit, the month that roars in like a lion is a good time to find mild, lamb-like savings on countertops and flooring. New digital cameras also hit the shelves, which means last year’s models bear lower price tags. And with days getting warmer, and eventually downright hot, retailers also cut the prices of space heaters; smart shoppers take advantage and store that heater for next winter. The Wednesday before Easter Sunday (which will be April 21 in 2019, though some years it’s in late March) traditionally is a prime day for bakery sales, as shoppers reserve their breads, pies, pastries and cakes for the upcoming weekend. It’s also a time to sweep into some spring cleaning, with retailers offering lower prices on such items as vacuums, air purifiers and pressure washers to combat unwanted pollen and dust. Lawnmowers and tractors also are showcased as lawn care begins to hit its prime. Want to play host to friends and neighbors at a backyard barbecue? Especially with the unofficial start of “grilling season” on Memorial Day, stores offer big discounts on outdoor grills in May. They’re also mindful of those customers who are seeking out insect repellents, decking materials, wood stains and exterior paint. Outdoor improvements come foremost to mind for homeowners as summer begins, meaning deals on such items as pressure washers continue. With the kids out of school and summer activities in full swing, both July and August become the busiest months for full-service restaurants. July also is a good month to seek out deals on dehumidifiers, appliances and, once again, outdoor grills, this time because of the Fourth of July. While apparel stores are busy catering to back-to-school clothing shoppers, other stores are stocking up the electronics. Yes, these days, no matter whether Junior and Susie are in college or in their younger school days, they need such items as laptops, tablets, headphones and printers. Just like digital cameras we’ve listed here in March, September is a time when laundry appliance retailers get their newest models. To free up space for the machines, those stores slash prices on last year’s models so they can showcase and promote the new. And, those bargains normally last through October. Similarly, as summer begins to fade away, the remaining stocks of lawn-care equipment go on sale in September, as do such kitchen appliances as ranges and dishwashers. Though under current U.S. law we didn’t “fall back” to Standard Time until the first weekend of November this year, October remains a month when consumers are reminded to change the batteries in their smoke detectors. As a result, stores offer both battery and detector sales. Also at the forefront of consumers’ minds, and resulting in October bargains, are snow blowers and interior paint. And, again, for those who want to alleviate that wintertime back pain we mentioned for Presidents Day in February, October is a good time to score a mattress deal. Advertising Systems Inc.’s experienced team works hard to help our clients realize the business growth they are looking for. We visualize your business operating at the next level – and then develop the marketing and advertising strategies that help get you there. We look forward to the opportunity to work with you. Advertising Systems Inc.’s experienced team works hard to help our clients realize the business growth they are looking for. © 2019 Advertising Systems Inc.